Get more information about our newest promotional product: Green Coin, the trolley coin made of FSC®-certified wood. Get your product catalogue with many attractive news! principles and criteria of the FSC. Sign in here for our newsletter! A gift that bears your signature. 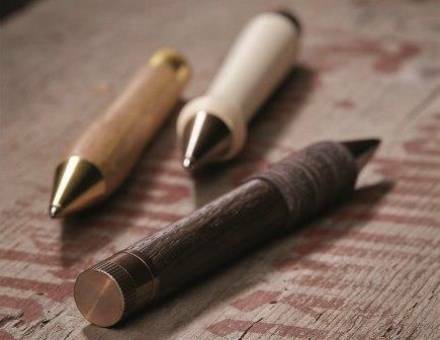 Beautiful writing instruments, made of solid wood, manufactured with an eye to detail in Germany, they are perfect for your corporate gifts. A sophisticated design, ethical materials and a superb finish create anoverarching quality that is reflected in every detail. We can offer you an extebsive range of individualisation with printing or laser engraving, on wood or on metal. Please ask us, we will be pleased to advise you! 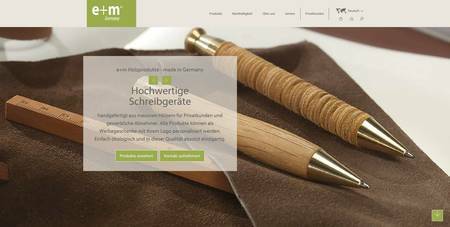 Sustainable promotional gifts made by e+m® Germany! 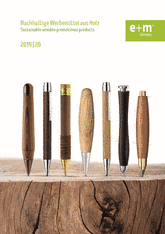 new range of writing instruments made of FSC®-certified wood in attravtive colours. All products can be presonalized and are perfect for your promotion! Please ask us, we are pleased to advise you. We are pleased to present our fine wood products and promotional wooden gifts to you. 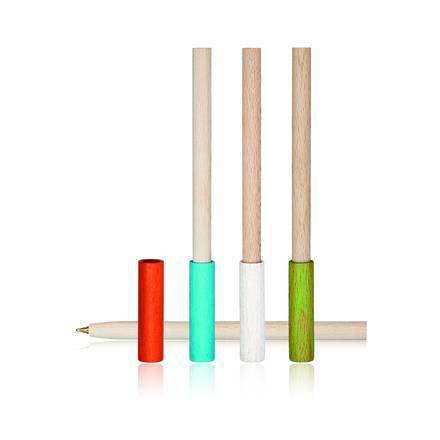 Whether it is a question of clutch pencils in wood, ballpoint pens in wood, ideas for appealing gifts for an attractive-looking desk, give-aways in wood, accessories for friends of beautiful writing instruments or nib penholders for calligraphy, you are sure to be surprised by the selection and abundance of ideas we can offer. 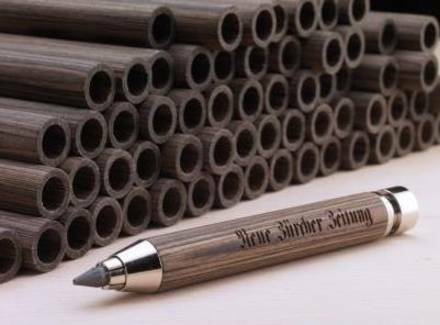 A special theme of interest is the manufacturing of eco-friendly promotional items: woodpens, FSC®-certified wood products, corporate business gifts, promotional pens, green gifts, made in Germany. Ask us - we are glad to advise You! All of our products are made on classic turning leathes according to craft tradition. We prefer to work with domestic woods such as copper beech, sycamore, maple, pearwood or cherry. The tactile, pleasing finish of our wood products is created using natural oils and waxes. This makes us and our wood products feel good for a long time! take a piece of nature into your hands!